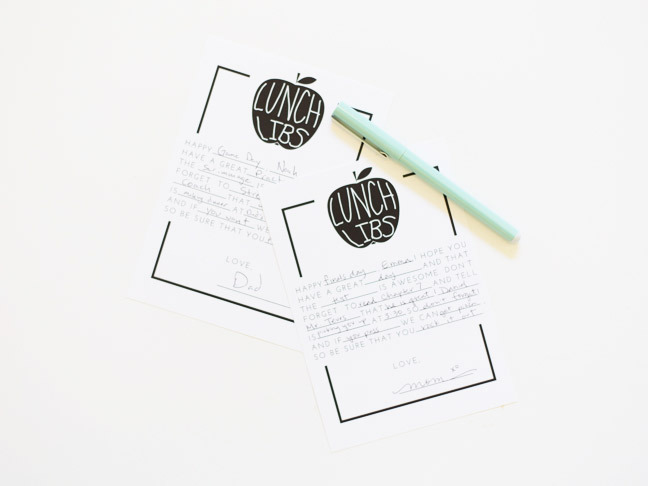 I seriously can’t wait until my little tiny dude is big enough for me to send little notes to school in his lunch! My mom used to do it for my sister and me, and even though it was a little cheesy I truly looked forward to it every day, even if it was just a smiley face drawn on a napkin. 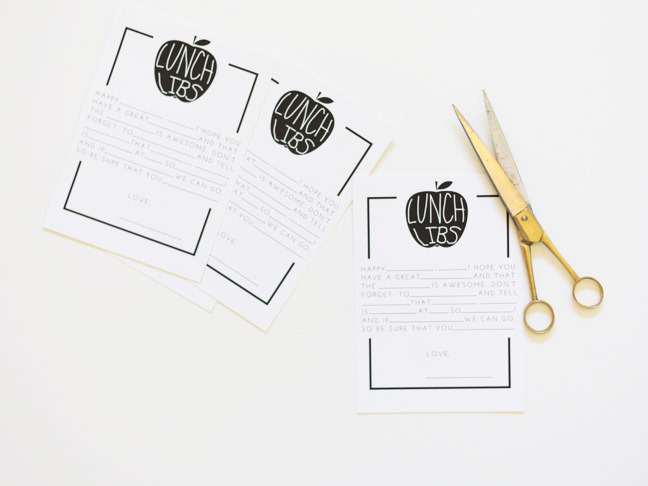 So to save time and help you get a little creative, I whipped up some Lunch Mad Libs, the perfect way to say a hello to your kiddos (big or small) and wish them well during their day. It’s as simple as printing and cutting, so let’s get to it! 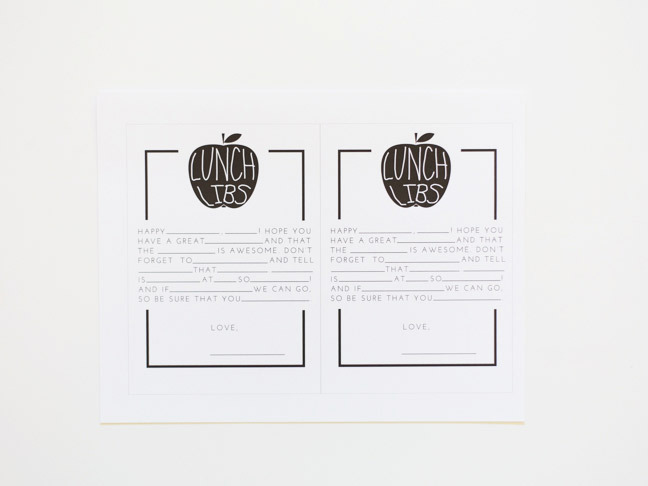 Step 1: Download and print the Lunch Libs template onto white card stock. Step 2: Cut on the thin gray line around the border of each Lunch Libs sheet (there are two per page). 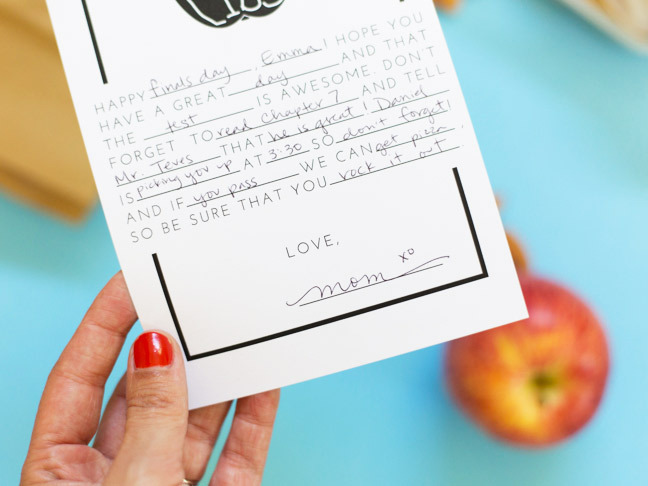 Step 3: Fill in the blanks with greetings and reminders for your child! 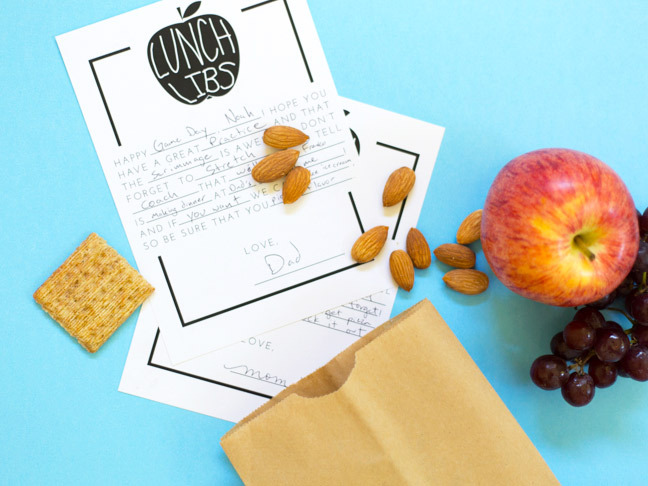 Step 4: Tuck the Lunch Libs into their lunch box or bag and send them on their merry way. 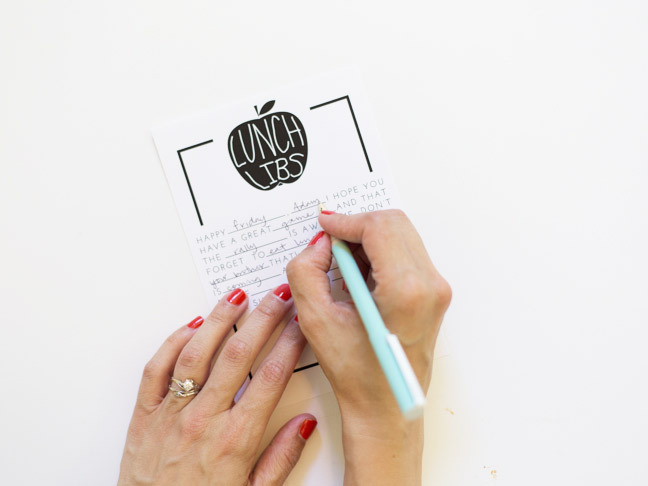 When they open up their lunch, they’ll have the chance to read your note!